A Star Wars humanoid with a dark side is what every member of the Force shutters to think about. 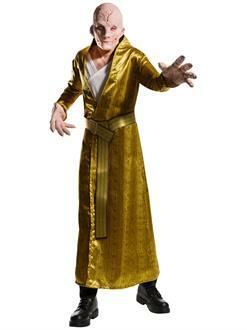 This Halloween, be a part of the First Order in this Star Wars Episode VIII - The Last Jedi Deluxe Men's Supreme Leader Snoke Costume! 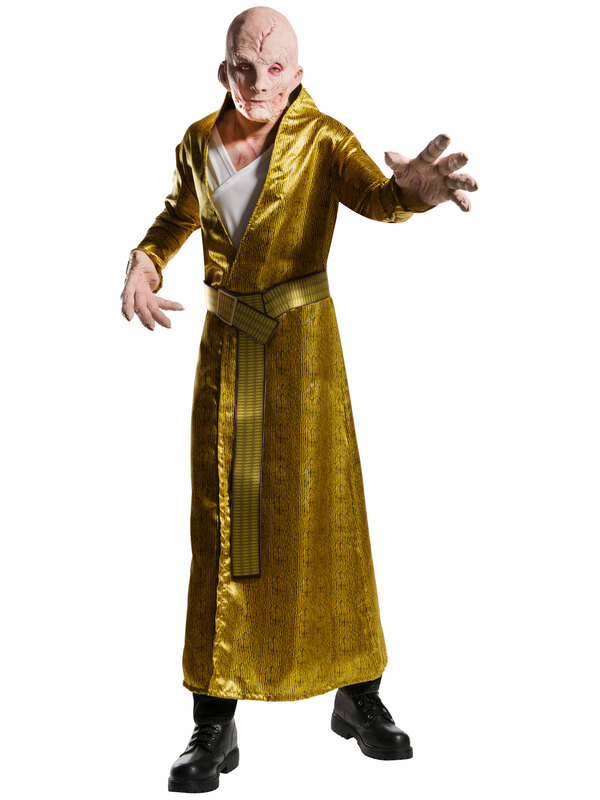 You’ll make a fabulous entrance to your Halloween bash when you wear this detailed, convincing-looking Snoke character mask, gold-colored robe with a white undershirt and a belt to complete your Snoke look! Shop our wide selection of Star Wars outfits for Halloween for men, women and children!